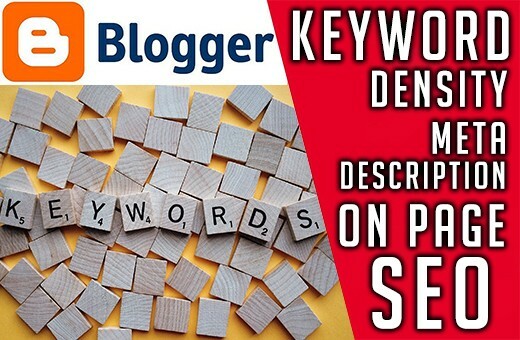 In this post, I will tell you how to write SEO optimized blog post to rank up your targeted keyword in search engines. In 2018 google use a most optimized algorithm to filter search results to offer best match results to users. Let’s discuss those areas briefly. Remember I only give you a direction to success on your blogging, do a survey about those things after knowing basics. 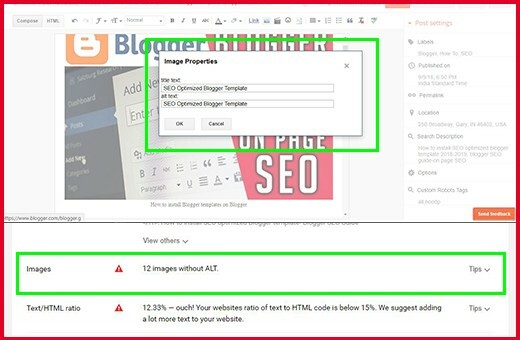 Blogger is a free tool to start, but SEO optimizing is difficult because we can’t use plugins like WordPress. WordPress has the most powerful SEO tools like “WordPress SEO by Yoast”. 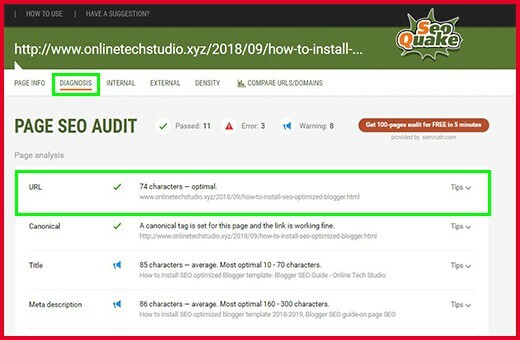 In 2018 most people use WordPress because they can use SEO plugins to find errors and fix them easily. Don’t worry blogger also provide same SEO options we can manually optimize blog posts. 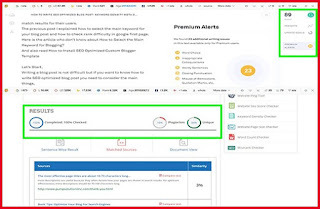 In this tutorial, I will show you how to check your blog post errors using the SEOquake plugin. 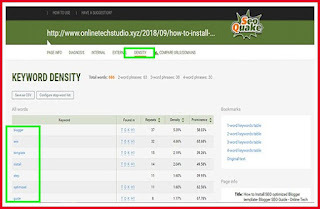 So first you need to install SEOquake plugin to your browser. 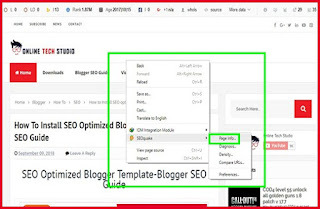 Now I'm showing you my previous post “How to Install SEO Optimized Blogger Template- Blogger SEO Guide” as an example. For see results select density tab on SEOquake, Remember this is not the only one tool, there are so many blogger SEO tools. 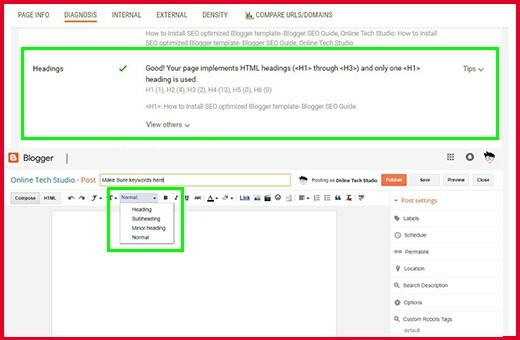 This is only a guide for a beginner how to use those tools to fulfill SEO parameters. 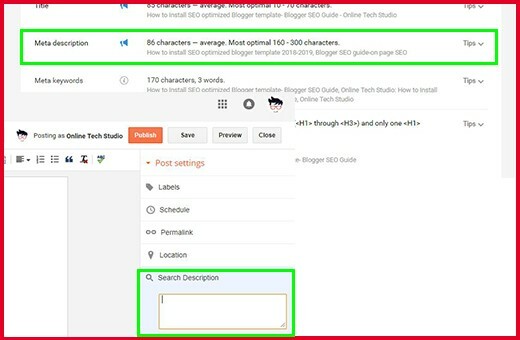 Make sure your blog post have minimum 500 words and keyword must include in Page title, Meta description, and Header. Make sure your targeted keyword repeat average times not over or not under. Also, spread your main keyword in whole post. Also, make sure don’t copy and paste from the internet. Make your own post. Before publishing your post use “Grammarly” like online grammar checker and online plagiarism checker. Make sure your plagiarism percentage less than 10%. Try to write your own. If google bot detects your post as a copy of another post, your post will not show in the search results. Select diagnosis tab. 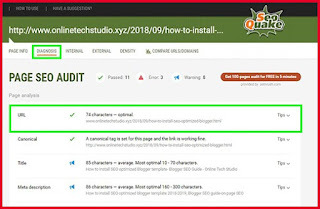 You will see your blog post URL status. 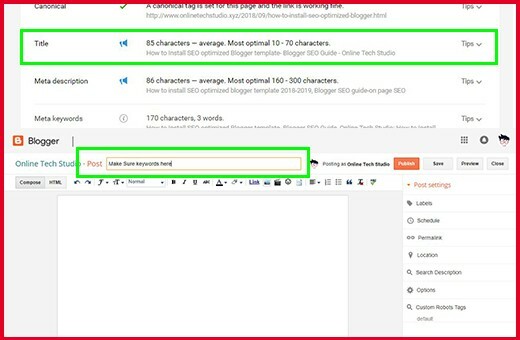 Make sure to add keywords to your blog post URL. But don’t use exact match domains to your blog post. In the next tutorials, I will show you how to install custom domains to the blogger like mine. Search engines and visitors can interact with your blog more effectively when you use URLs that describe the content of the page. URLs are extremely vital to your SEO campaign. Be sure to use URLs that make it easy for Google to index your Blog. The most effective Post titles are about 10-70 characters long, word count including spaces. Keep your title concise and make sure title contain your best keywords. 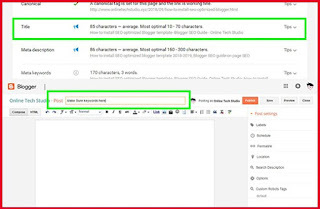 You can use a test blog and check results using this SEO tool. 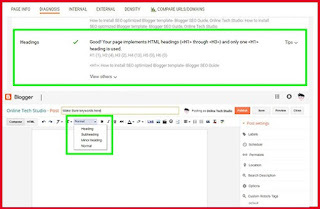 In this tutorial I’m not telling how to activate blog post Meta description. 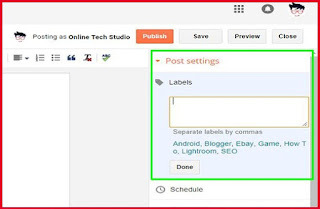 Because before activating it you need to apply some changes on blogger settings section. I will post it in my next tutorial how to use custom robots tags and how to write an optimized Meta description. Blogger has Heading, Sub Heading, Minor Heading, and normal text. You can include keywords in your headings. The initial heading (Heading) should include your best keywords. 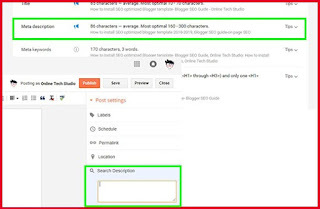 Make sure using only one heading per post will strengthen your SEO. Image optimization is another main point to increase your post-identification. It is a little bit complex. 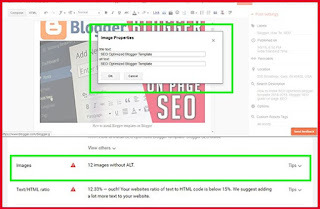 So I will post separate post how to optimize your blog images to recognize ALT text to your images so that it's easier for search engines to index them. ALT text is an option that allows you to specifically describe the image. 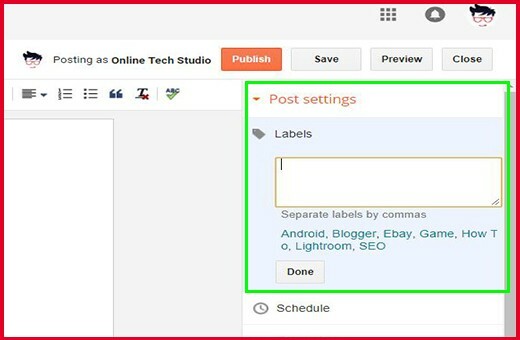 Add your post related 3 or 4 labels to identify category easily. It is optional. But it also helps visitors to identify posts with the same categories.